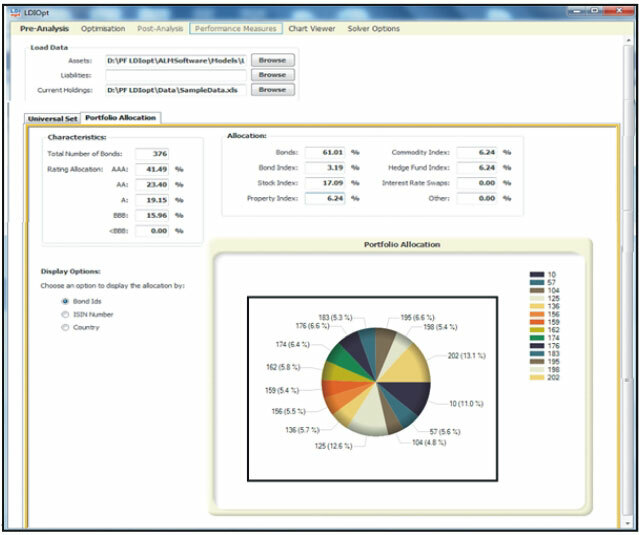 Liability Driven Investment Optimization (LDIOpt) is an asset and liability management software (ALM) for pension funds, insurance companies, and banks. 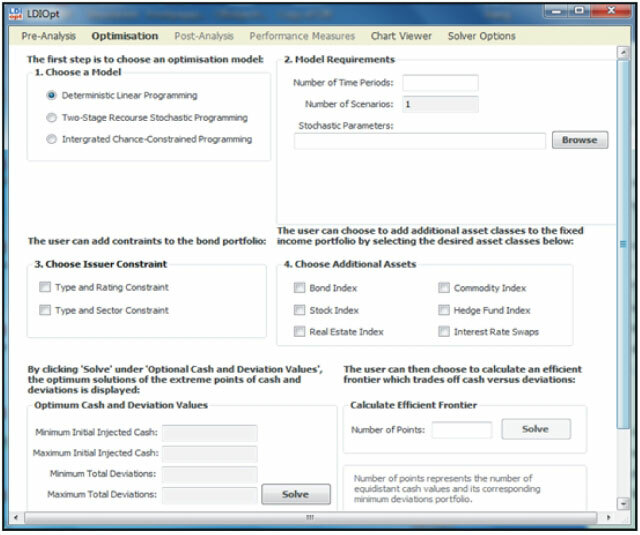 It’s optimization modelling tool enables the user to analyse their current investment portfolio, rebalance it to a new portfolio using advanced stochastic optimization models which take into account future uncertainties of the assets and liabilities. 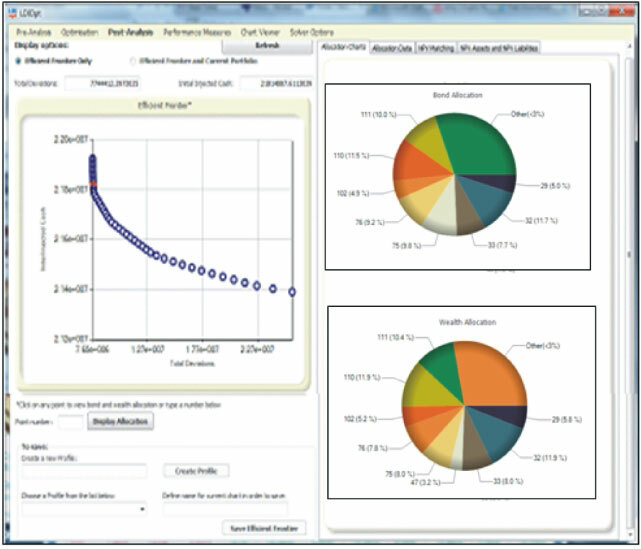 The optimization model behind this software can be selected by the user. The three mathematical programming models of choice are: (i) deterministic linear programming (ii) two stage stochastic programming with recourse and (iii) integrated chance constrained programming. All these models are able to account for Asset and Liability Management under uncertainty. • indices such as a bond index, stock index, real estate index, commodity index or hedge fund index.